Nihon iPrism is a Language Service Provider (LSP) with special expertise and proven track record in Japanese, English and Indian languages. We offer Translation, Transcription and DTP services across a broad range of domains. We have been providing professional, high quality and cost effective services to renowned global clients since 2008. Our team of expert and experienced translators is passionate about customer service. With meticulous attention to linguistic and domain-specific details, our team ensures accurate translation of documents. We work with clients in a wide range of domains including Information Technology, Automotive, Machinery, Electronics, Medical & Pharmaceutical, Patent, Legal, Accounting, Finance, Academic & Research, and more. Our core competency is "Japanese to English Translation". With millions of words translated in this language pair across various domains, competitive rates and 100% on-time delivery rate, we have proven expertise in providing quality and cost-effective translation services to our clients. We continuously build on our knowledge and capabilities while constantly keeping up with the latest technology trends in order to provide our valued clients with the best service that we can offer. Knowing the importance and advantages of CAT tools, we adopted the leading CAT tools such as Memsource and SDL Trados early on and have successfully delivered large-size projects using these tools. We are proud to share that with Memsource Cloud, we have achieved productivity increase of up to 50% and cost saving of up to 20% for our customers. In order to ensure accuracy, we assign the document to a translator with substantial expertise and experience in the same business sector. We maintain glossaries for various business sectors. While assigning the documents for translation, we also share these updated glossaries with our translators to ensure the quality and consistency across the team. Additionally, we maintain a comprehensive translation review checklist. The first level of review is done by the translator. The second level of review is done by a senior translator. Feedback and comments are sent back to the translator for necessary corrections. Translated files are delivered to the client after ensuring that all the quality checks have been completed. Our experienced transcriptionists catch the difficult words, jargons, key phrases, etc., do the research, and ensure that our clients receive highly accurate transcriptions. Our transcriptionists come from a variety of industry backgrounds. This helps in providing a wider variety of transcription services while maintaining accuracy and fast turnaround time. We provide transcription services at a reasonable price. Also, we price per minute of audio or video. No confusion...No surprises. To be a niche Language Service Provider (LSP) that acts as an enabler for growth of India-Japan business. Pallavi is an experienced marketing and technology leader with a proven track record of achieving targets within challenging operational and sales environments and building successful teams. Being an expert multitasker, she handles every challenge that comes her way with calm efficiency, tact, and a sense of humor. Prior to founding Nihon iPrism, she has led teams in a variety of fields spanning across Medical Instrumentation, Marketing, Product Development and Talent Acquisition. Pallavi has lived in Japan for several years and gained valuable experience and knowledge in Japanese language and culture. The idea of starting a venture related to Japanese language was germinated during her first year in Japan when she was approached by a group of Japanese ladies to teach them conversational English. Building up on that idea, she founded Nihon iPrism to provide a broad range of services related to Japanese, English and Indian languages. 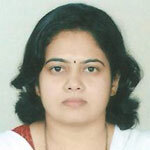 Pallavi earned her Master of Science degree in Electronics from Pune University and holds JLPT (Japanese Language Proficiency Test) Level-2 certification from the Japan Foundation. Sunil is a bilingual management professional with extensive experience spanning across Information Technology, Manufacturing and Talent Acquisition. At Nihon iPrism, he wears many hats taking care of responsibilities ranging from business development to quality management. 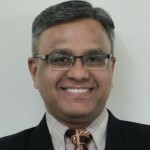 Prior to co-founding Nihon iPrism, he served in a variety of management positions handling functional areas including operational excellence, client management, talent acquisition, and quality assurance with major global companies, such as Wipro Technologies, Datamatics Ltd. and Bharat Forge Ltd.
During his eight-year-long stint in Japan, Sunil had the privilege of working with renowned Japanese organizations, such as Sony, Toshiba and NEC. In addition to honing his communication skills in Japanese language, he gained tremendous experience in working with Japanese clients and understanding the nuances of Japanese business culture. Sunil earned his Master of Science degree in Physics from Pune University. He also holds Advanced Diploma in Japanese Language from Pune University and JLPT (Japanese Language Proficiency Test) Level-2 certification from the Japan Foundation. He was the winner of "The Study-Tour Awards for Outstanding Foreign Students of the Japanese Language (sponsored by the Japan Foundation)" from India in 1997. The Japan Translation Federation (JTF) is a professional organization of companies, organizations and individuals being engaged in commercial translation.